The woman that warms your heart can now warm your feet! 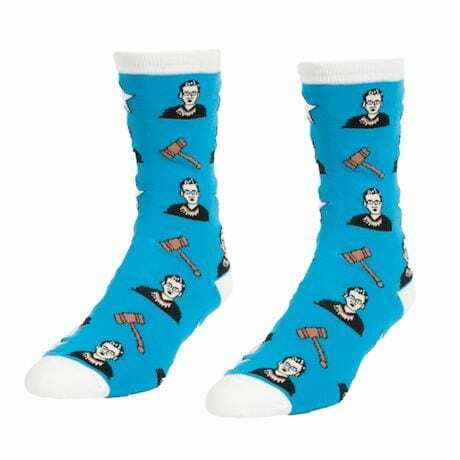 These women's RBG socks feature Supreme Court Justice Ruth Bader Ginsburg in her dissent collar amongst gavels and stars. Imported. Socks are cotton/poly/spandex blend. One size fits most women.